KIEV, Ukraine -- Ukraine accused Russia on Wednesday of abducting a woman army officer captured by separatist fighters in eastern Ukraine and demanded she be released and returned home. Nadiya Savchenko, 33, was kidnapped and transferred to prison in Russia's Voronezh by pro-Russian rebels in June. Nadiya Savchenko, 33, was seized by pro-Russian rebels in June while she was fighting with pro-government militia on the outskirts of Luhansk on the border with Russia, local media said. The Ukrainian Foreign Ministry said in a statement Savchenko had been spirited across the border illegally after she was seized by the separatists. "This is yet more confirmation that the terrorists plan and carry out their crimes in Ukraine in close contact with the intelligence services of the Russian Federation," it said. "By openly abducting citizens of Ukraine on the territory of their state, the Russian authorities not only violate all international norms but also exceed elementary norms of decency and morality," the statement added. There was no immediate comment by Russian officials. 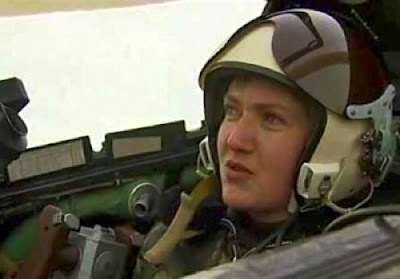 According to Ukrainian media reports, Savchenko is a helicopter pilot who, during official leave, fought with a pro-government militia group called the Aidar battalion. "We expect the Russian side to take steps to unconditionally free Nadiya Savchenko and return her quickly to her motherland", the statement said. Quote: "Украина готовится провести масштабную конференцию, куда будут приглашены доноры и инвесторы из разных стран. Об этом сообщил первый заместитель Министра экономического развития и торговли Украины Анатолий Максюта, передает пресс-служба ведомства. «Сейчас наша страна находится на этапе стабилизации экономической и финансовой ситуации. Мы стараемся создать благоприятные условия для инвесторов. Украина намерена провести осенью этого года большую инвестиционно - донорскую конференцию. Мы хотим пригласить на нее не только доноров, как это традиционно делается, но и инвесторов, которые могли бы здесь обсудить перспективы своих инвестиций», - сказал Анатолий Максюта." 5. Perhaps, successful business representatives of Ukraine. Such countries as Canada and USA could be some of the best candidates for such presentations.